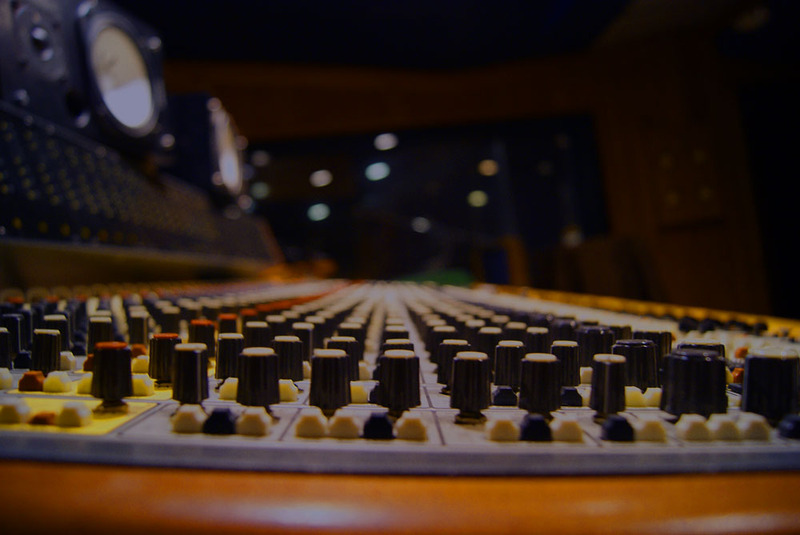 EMF Production’s Recording studio is composed of a 1300 square foot professional recording studio capable of recording analogously or digitally. The facility houses a Hammond B3 organ with Leslie and state of the art keyboards, effects and processors. We also have full time audio engineers and music producers as well as a vast talent pool of experienced musicians and singers from the area. We are dedicated to excellence in every musical piece that we create. The 700 square foot studio has a combination drum and vocal booth, concave piano trap, two amplifier traps, and a live poly-cylindrical area for bright instrument enhancement. The EMF Productions’ Control Room has an area of 600 square feet, with non parallel fan-shaped walls, an unparalleled ceiling, and is side-load. It was designed by Milam Audio of Chicago, Illinois. ReVibe, Reverb One, Moogerfooger Analog Delay, Sound Replacer, Smack! Purple Audio MC77 and many more!